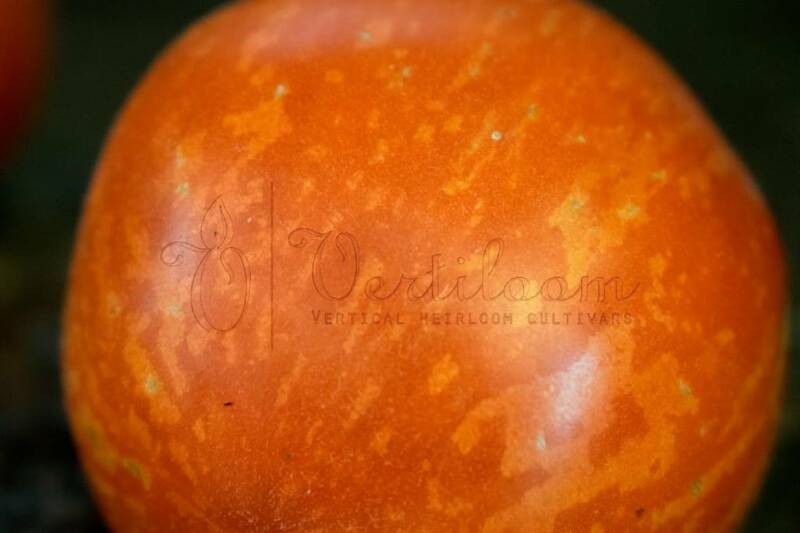 Small, variably shaped red-orange striped fruits (round, oval, slightly heart-shaped) with a fruit weight of 70 to 150gr. The fruits have a light woolly skin. 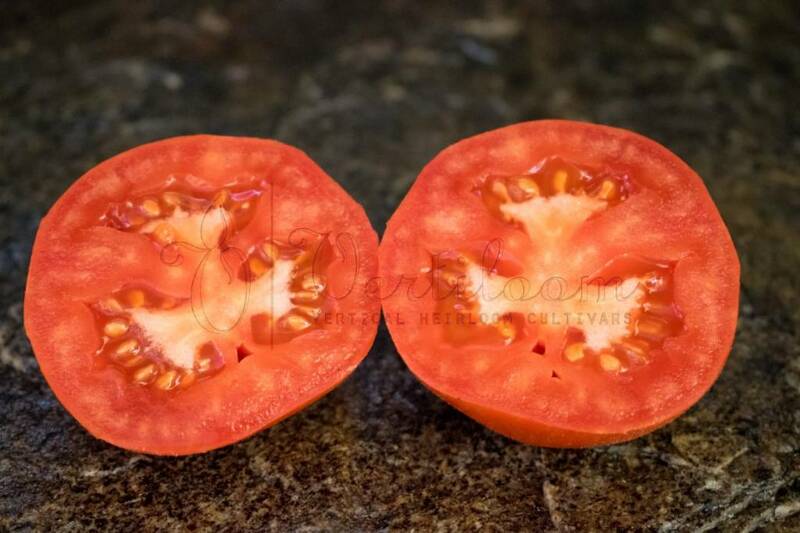 Little juicy crispy flesh with a mild taste of red tomatoes. Indeterminate growing plants with medium development between 1 and 1.5 m height. Regular woolly foliage. 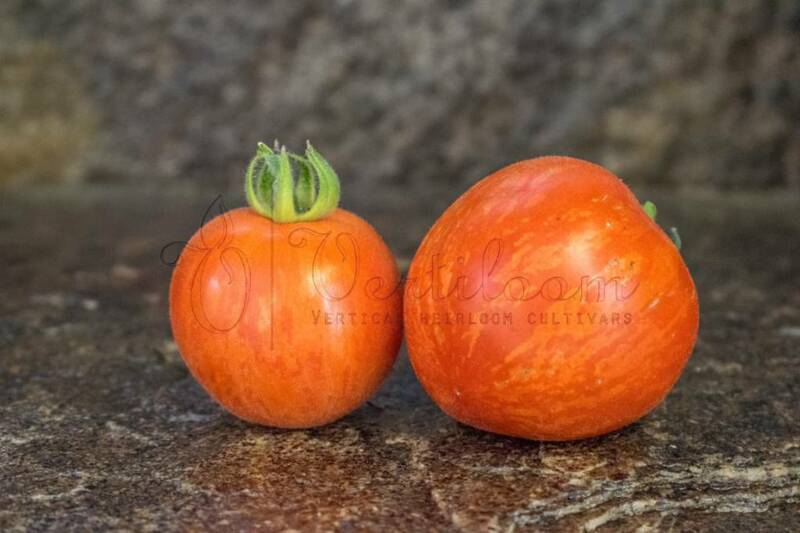 Medium yields starting from the mid-season. A beautiful and certainly also usable variety. Good shelf life of the fruits after harvesting.